Last week I finally visited East Shopping Centre, on Green Street in London, a retail space dedicated to South Asian fashion retailers. 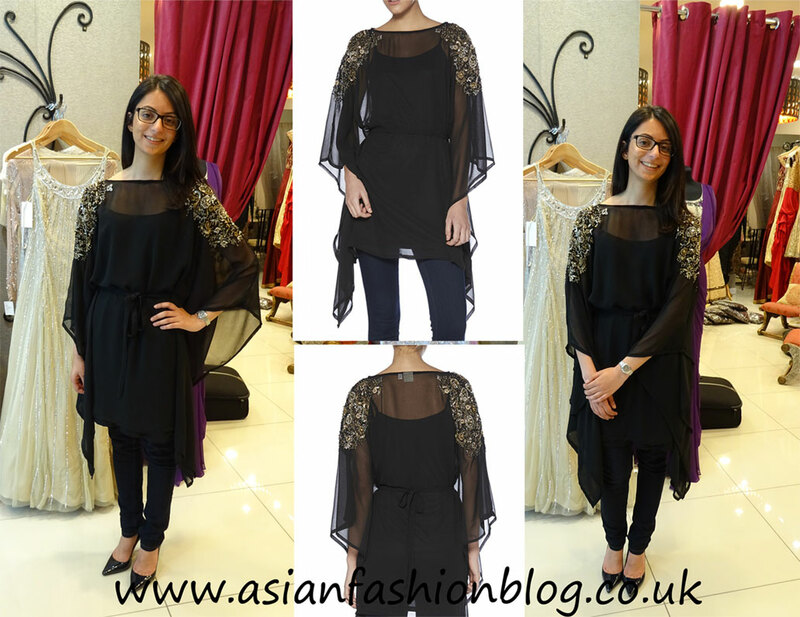 My first stop was to AFB favourite Raishma's new store. The new store has more of a focus on Raishma's ready-to-wear line, but still has a wide selection of her bridal collection on display too. 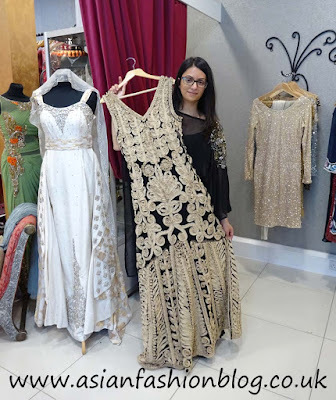 I had a good browse in store and with it being such a warm day I gravitated towards the looser fitting kaftans, rather than the bodycon dresses and churidar suits. 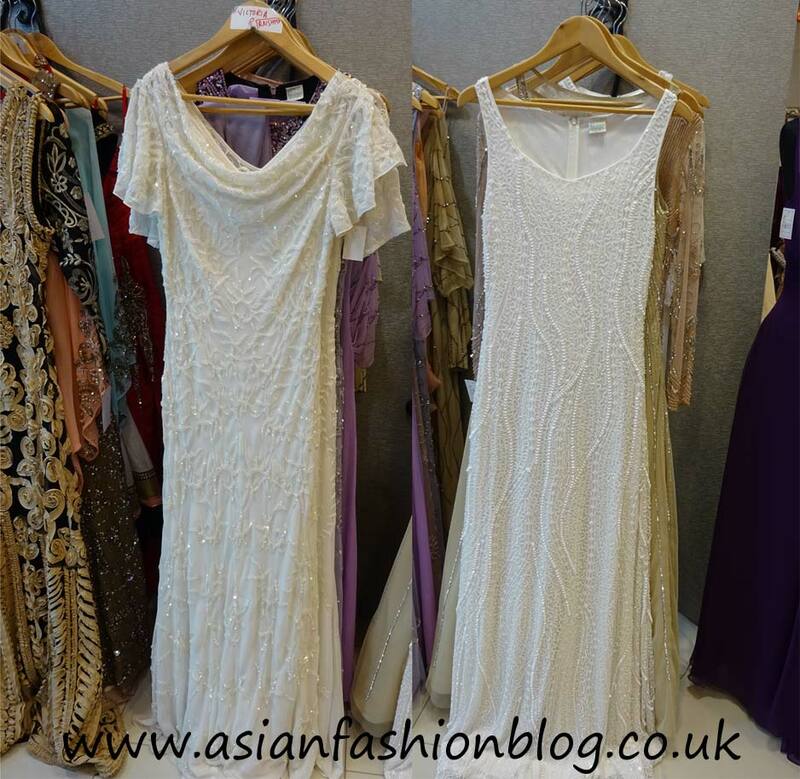 I really liked the versatility of the kaftans, as they can be dressed up for an asian function, or dressed down for a less formal occasion like a meal out. I tried this one on and ended up taking it! This style is also available in maroon and blue, the maroon version is on sale online right now - check it out here. Another dress which caught my eye was this ribbon detail maxi dress. I didn't try it on, but can imagine this looking amazing on someone walking the red carpet or at a formal evening function. In the back of this photo you can see the gold sequinned bodycon dress, of which I have the silver/blue version. I've worn this dress a few times (full review here) and every time without fail, at least one person will ask where it's from and did I have it made, because it looks and fits amazingly! 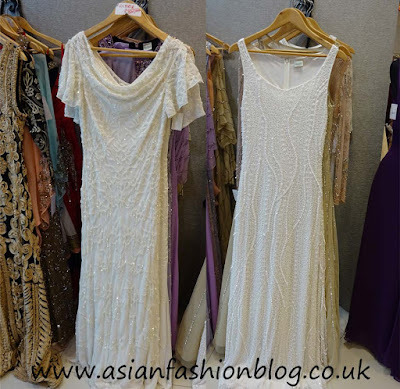 Other key pieces in store were the collection of white bridal registry gowns and bridesmaid gowns, and the collection of jewellery from Deeya - Raishma is the only official in store stockist for this brand! 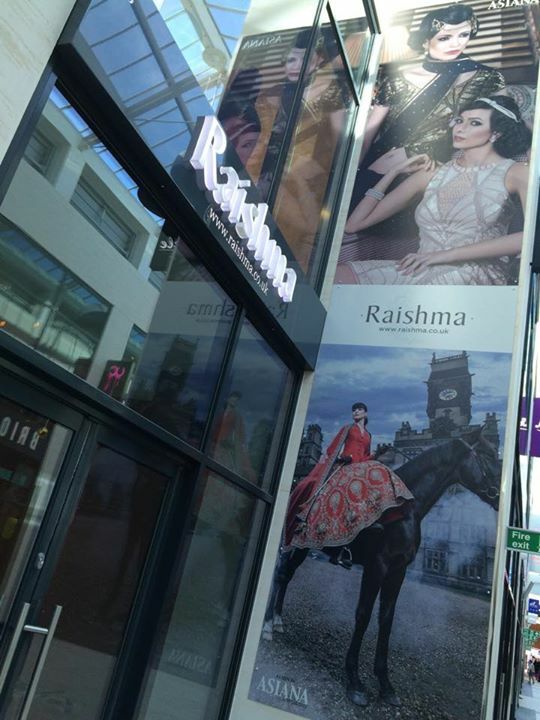 You can find Raishma's store at East Shopping Centre, Unit 33, East Shopping Centre 232-236 Green Street, London. Shop online at Raishma.co.uk and follow Raishma on instagram for updates on her new collections, behind the scenes from her photoshoots and info on flash sales.